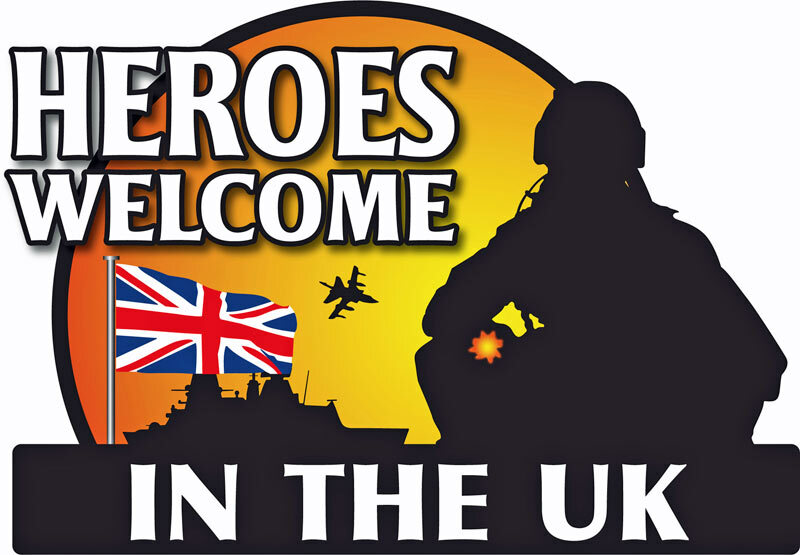 COMMUNITIES across the UK are being urged to support our Armed Forces in the Heroes Welcome scheme. Businesses are encouraged to display a special logo that indicates a warm and special welcome. They might like to offer a service upgrade, special acknowledgement or even a discount to Service personnel too, but it’s really just a simple show of support for our military. Some London cabbies have joined several businesses and other organisations across the UK in displaying stickers, while a number of local authorities have also already signed up to the initiative.